I need writing about Debug Logging on several ISDN Audio Gateways. Please visit this article more frequently, since I will update all common vendors over the time. properly WireShark can be your Syslog Server too. it is not the best option, but under Capture Options, define a filter: upd port 514 and start your capture on the eth. Navigate to Management-> Management Setting-> Syslog Setting. As very often requested or even legally forbidden in certain countries, Administrators seeking for a possible solution removing the user activity time stamp. Mostly it is misinterpreted and secretly used for user activity monitoring. There Microsoft introduced an update with Lync Server 2010 CU6 and enabled without additional costs a simple and easy way removing this LastActive Attribute from the Users Lync Object. After you apply this solution, only newly written/ detected activity time stamps are effected. 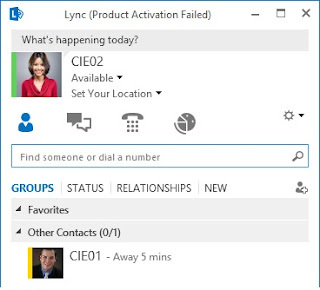 In other words, if the user object was Lync enabled before has not yet logged into Lync again, the last time stamp is still visible, as you can see in the illustration below. As well remember, this setting affect all user hosted on the Front-End Server (Pool) and cannot be set to individual users. Web Apps can be installed as standalone system or in a web cluster (Load Balanced). Microsoft Office Web Apps Server was downloadable from the Download Portal. But since 24.Nov.2014 it is from now on only downloadable via the Volume Licensing Portal and MSDN Subscription. 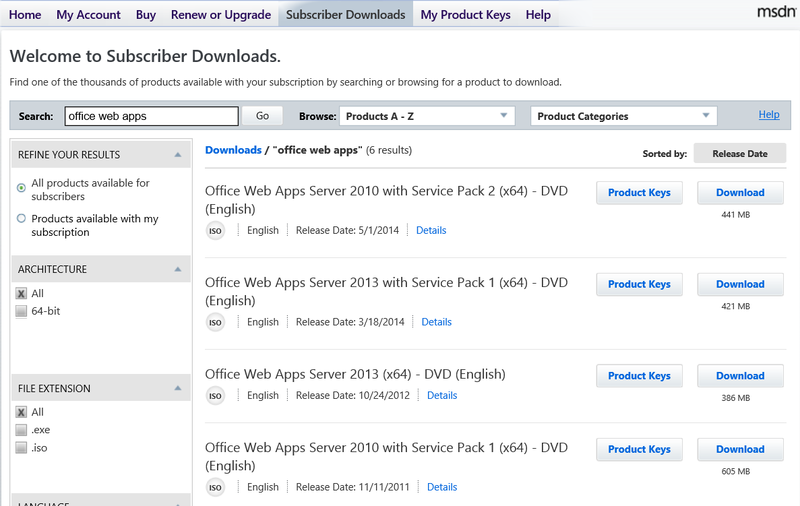 For easy deployment, make sure you download it including Service Pack 1. While it downloads, we can configure the other prerequisites.